Art Rascon, ABC Houston, has reported on wars and conflicts in Iraq, Israel, Serbia, Kosovo, Bosnia and throughout the World. He has reported on a host of U.S. Presidential elections and 3 Papal elections from Rome. Rascon has covered terrorist’s attacks from New York City to major cities elsewhere and has reported on disasters, from hurricanes along the Gulf States to tsunamis in Asia, and earthquakes, being one of the first to report from Haiti. He has reported on numerous stories out of Central America on the flow of migrant children to the U.S and the deadly drug cartel violence and has produced and reported on several 30-min Special Reports and Documentaries on a variety of issues. Previously, as a CBS NEWS Correspondent, Rascon covered such events as the Oklahoma City bombing, Haiti's civil unrest, Mexico's guerilla wars, Peru's hostage standoff; Cuba's downing of U.S. planes, TWA, Value-Jet, and other airline disasters. He also covered hurricanes throughout the Caribbean and reported from the heat of conflict in Central America, interviewing such tyrants as Manuel Noriega and Daniel Ortega. During his time at CBS he traveled extensively reporting on a host of domestic and international issues. At KABC-TV in Los Angeles, he covered such notable stories as the O.J. Simpson case, the Rodney King beating trial, the subsequent Los Angeles riots, the Branch Davidian stand-off, the Menendez trial, as well as earthquakes, fires and floods. Rascon has been nominated for 27 Emmy awards and has won 20. 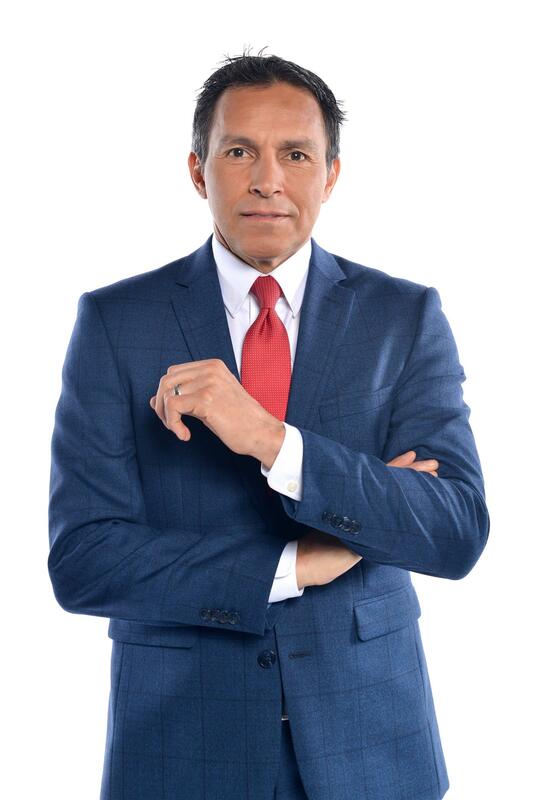 He is the recipient of more than three dozen other local reporting awards from press clubs in Houston, Los Angeles and Miami and a host of national awards, including two Edward R. Murrow awards, three National Association of Hispanic Journalists' awards, the International Rotary award for meritorious reporting, two National ‘Headliner’ Awards, the RTNDA Award for Continuing Coverage, a dozen Lone Star awards, and 18 Associated Press Reporting awards. Rascon has reported from more than 75 countries, five continents and nearly every State in the Union. Rascon was once named by The National Hispanic Business Magazine as one of the '100 Most Influential Hispanics in America. A former board member of The Radio Television News Directors Association, former Vice-President of the National Association of Hispanic Journalists, former board member of Interfaith in The Woodlands, and Montgomery Co. Medical Clinic. Rascon is a current board member of YMCA International and former president of the Houston Association of Hispanic Media Professionals. He was once named Houston Father of the Year and has received Distinguished Alumni Honors from BYU-Idaho and BYU-Provo. He is also a noted motivational speaker. Born in El Paso, Texas, and reared in Denver, Colorado, Rascon graduated from Brigham Young University. He also studied Spanish, Humanities, and European Politics/History in Madrid, Spain. Rascon is happily married with 7 children.